Scientists at the University of Birmingham, UK, are one step closer to developing an eye drop that could revolutionise treatment for age-related macular degeneration (AMD). AMD is currently treated by disagreeable injections of sight-saving drugs into the eye which must be administered by medical professionals. Scientists led by biochemist Dr Felicity de Cogan, from the University of Birmingham’s Institute of Microbiology and Infection, have invented a method of delivering these otherwise-injected drugs as eye drops. Laboratory research published last year in Investigative Ophthalmology & Visual Science (IOVS) showed that these eye drops have a similar therapeutic effect as the injected drug in rats. Now the Birmingham scientists have taken their research one step further by investigating the effect of the eye drops in the larger eyes of rabbits and pigs, which are more similar to human eyes. These studies, also published in IOVS, demonstrated that the eye drops can deliver a therapeutically effective amount of the drugs to the retina of the larger mammalian eye. The technology behind the eye drops is a cell-penetrating peptide that can deliver the drug to the retina (the back of the eye). 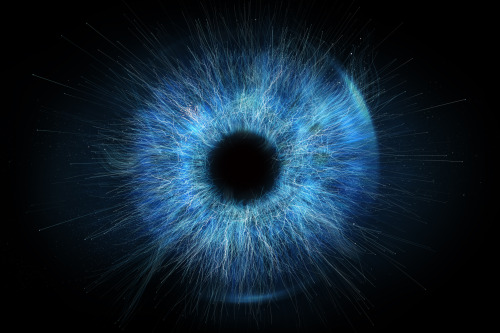 The scientists’ pending patents for the eye drops are now owned by US-based company Macregen Inc, and a team of Birmingham researchers is working with the company to develop a novel range of therapies for AMD and other eye diseases. The combined team is now expediting proof of concept studies to confirm the validity of the therapeutic approach. Clinical trials will be imminent once these studies are completed, and could start as early as the Spring of 2019. Dr de Cogan commented: “For several years, our team has focused on the challenge of delivering drugs to the back of the eye. From the outset, we realised that delivering drugs through eye drops would mean that patients can administer their treatment themselves, and this would be less costly, save time for patients and healthcare providers, and reduce the potential complications that can arise from injections.